This week Science for the People is learning more about Alzheimer’s disease, from the perspective of a researcher and a patient. We’ll discuss Alzheimer’s and brain degeneration with Dr. Lili-Naz Hazrati, neurobiologist and researcher at the Tanz Centre for Research in Neurodegenerative Diseases at the University of Toronto. 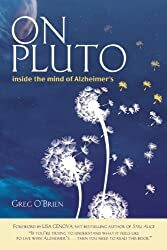 We’ll also get a first hand account of living with the disease from journalist Greg O’Brien, author of On Pluto: Inside the Mind of Alzheimer’s. This entry was posted in This Mortal Coil and tagged Alzheimer's disease, Greg O'Brien, Lili-Naz Hazrati, On Pluto, Podcast, science for the people. Bookmark the permalink.